"No words can convey the excitement that I have had since receiving your personal Profit Improvement Profile. There is no price tag that could be put on the work that you did." The Profit Planning Group helps small to mid-size businesses understand the financial side of their operations. If you would like information on conducting a study or educational program for your association, please contact us. Profitability Studies - Industry-wide surveys collecting financial data that lets participants compare themselves to relevant profit and operational benchmarks. Compensation Studies - A compilation of salary and fringe benefit information for both managerial and operating employees. Educational Programs - Tailored seminars that provide an understanding of how specific management actions impact profitability, either positively or negatively. Profit Improvement Reports - Quarterly essays on key profit improvement issues. These reports are provided free to our Profitability Study clients. Dr. Albert D. Bates, Chairman and President, is the founder of the Profit Planning Group, a research and executive education firm headquartered in Boulder, Colorado. 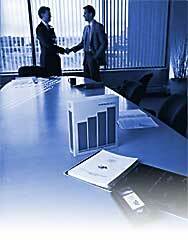 The firm works exclusively in the area of corporate financial planning. He makes approximately 100 presentations each year on topics such as Improving the Bottom Line, Getting Serious About Profit, Doing More with Less, and Pricing for Profit. He also provides strategic direction for the firms investigation into profitability research for over one hundred different trade associations. He has written extensively in both the professional and trade press, including the Harvard Business Review, the California Management Review and Business Horizons. In addition he writes the quarterly Profit Improvement Reports for the firms trade association clients. Al received his undergraduate degree from the University of Texas at Arlington and his MBA and doctorate from Indiana University. While at Indiana he was one of the first recipients of the Ford Foundation Fellowships in Business Education.